Cine Art Palacio on the left was playing 'Um roubo em Paris' (The viscount) released in 1967. 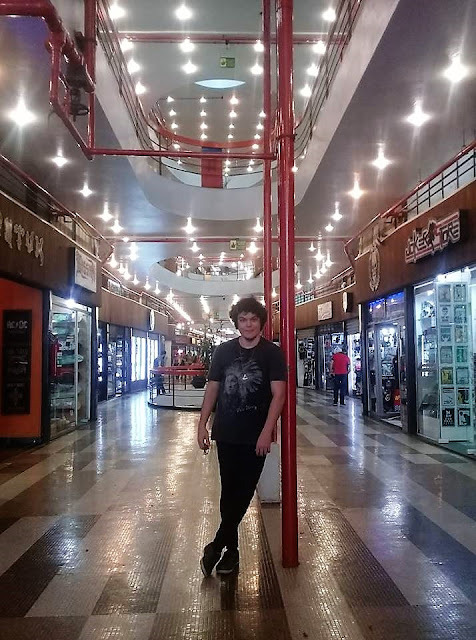 Gui Castro Neves in Galeria do Rock on 3rd October 2018. 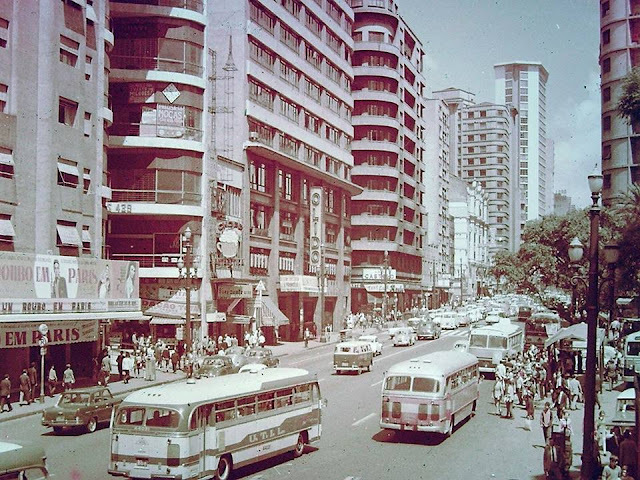 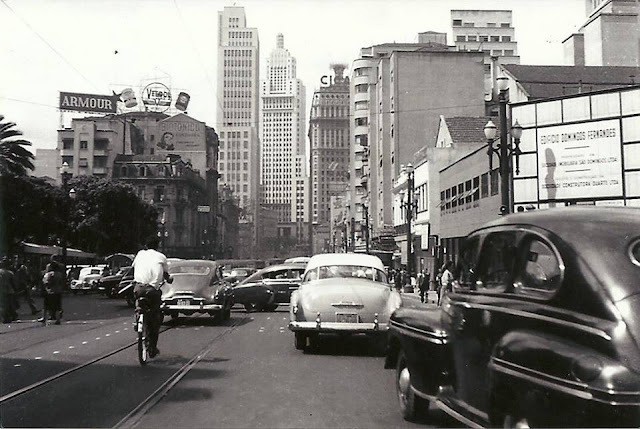 Avenida São João circa 1959... the fenced construction on the right is Grandes Galerias aka Galeria do Rock being built.